30 Days is the latest diet product to be introduced to the UK, it is a combination product that targets both fat loss and the initial reason (poor colon health) why fat is accumulated. It is the invention of Norwegian based Med-eq and is the brainchild of professional physician Dr R Strand. Dr Strand has over 20 years experience in the weight loss arena and specialises in nutritional therapy. He has helped literally thousands of patients with weight related problems. One part of the product is called 30 Days Waistline. 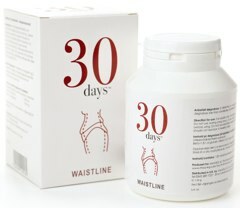 30 Days Waistline has been specifically formulated to target fat around the midriff. The accumulation of fat around the stomach or belly is considered to be the hardest to shift. Many diet pills are thinly veiled diuretics, diuretics simply expel excess water and give the impression of weight loss. Getting rid of water can show a poundage decrease on the bathroom scales initially but this is always temporary, as soon as you inevitably rehydrate (drink fluid) those lbs are put straight back on again. 30 Days Waistline is a fat loss diet pill containing Beta Glucans – Beat Glucans can significantly improve the immune system combating the physical damage that stress can inflict. Stress can cause inflammation around the waistline providing a perfect host for fatty deposits to thrive. The other part of the product is a colon cleanser. Colon cleansers are becoming increasingly more popular as the relation between poor colon health and weight loss and a whole host of other health issues and conditions become more prevalent. 30 Days Colon Cleanser is a completely natural tablet than can flush, detox and cleanse your colon. Both Waistline and the Colon Cleanser can be bought separately or together as a package. 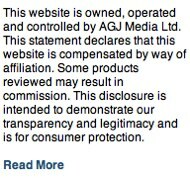 Purchases can be made from the official website. 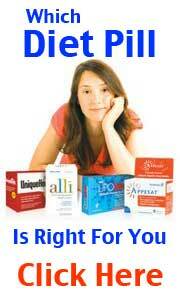 Waistline costs £39.99 with the colon cleansing supplement at £29.99. There is a current promotion in effect whereby the two together can be purchased at £49.99. 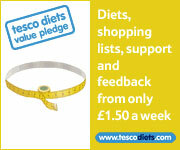 Boots, Holland and Barrett and Superdrug etc are not currently approved stockists. Extremely hard to recommend. 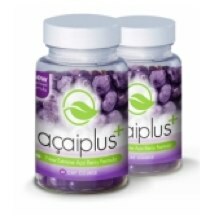 The weight loss/detoxification combo is not a new concept and has been done far effectively and efficiently by Acai. Acai is considered by many to the number one superfruit than can provide numerous benefits to human health.